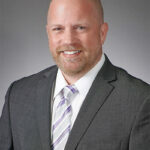 Know Your Law Firm - The Florida Bar | Harris Guidi Rosner, P.A. The Florida Bar, over the last several years, has relaxed the rules governing advertising and many people are taken in by the personality they see on the television or the advertisement. It is important, if and when you need to call an attorney, that you perform some investigation into the attorney, and the firm, that will be handling your case. It is important to know if that attorney has any bar complaints that were substantiated and what the nature of the complaints was, it is important to know how many years that attorney has been practicing and in what areas has that attorney been practicing in, whether or not that attorney has trial experience and whether or not that attorney will be able to handle the kind of matter for which you seek assistance. The quickest way is to go to the attorney’s website, or the firm’s website, and click on “attorneys”. Generally, law firms will place some background information about each attorney on their website and that information would be a good way to determine how long they have practiced and some general background information. You can always go to the Florida Bar website and check-up the attorney with their proper name and/or their Florida bar number. On that site, generally, it will inform you whether or not there have been any bar complaints and how long the attorney has been practicing. It will sometimes list the various organizations that the attorney subscribes to and what areas of practice the attorney limits himself/herself to. Then there is the firm itself. You need to know if the firm opened for practice the week before your consultation, or whether that firm has been established for some time. A larger firm is not always better than a smaller firm, and vice-versa. It is the attorney and the practice that you should be focused on getting to know and understand. At Harris Guidi & Rosner, a firm established in the same location over 30 years ago, our website will get you acquainted with the attorney you are seeking to hire. When you meet with the attorney at Harris Guidi and Rosner, you may ask tough questions about your cause of action or legal issue, but more importantly, we anticipate you will have more questions after you leave the consultation, and our attorneys will be more than happy to take your calls with those additional questions. You should feel comfortable with the attorney you retain and have full faith in that attorney’s abilities to represent your interests in whatever the legal needs require. Know your attorney. Get to know Harris Guidi and Rosner.